I love German Shepherds and I plan to buy one someday in the future. However, I didn’t know much about how to do that when the time comes! I decided to research how to find a German Shepherd to buy. 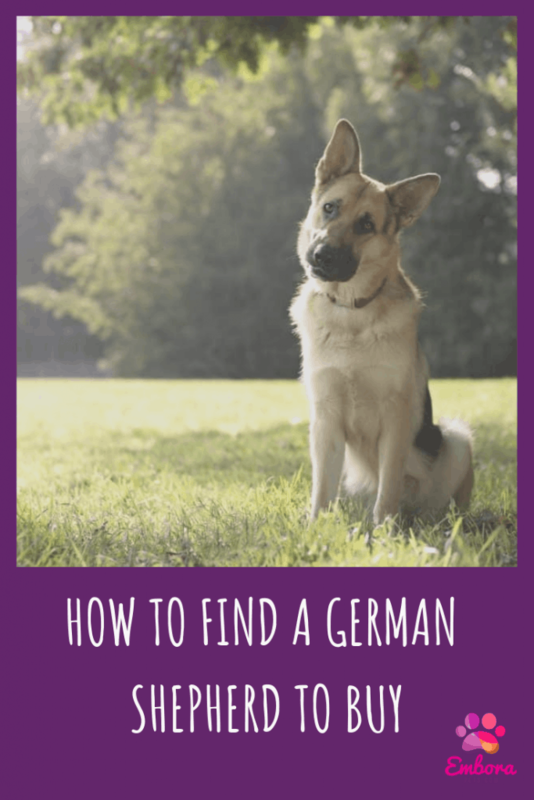 So, how do you find a German Shepherd? 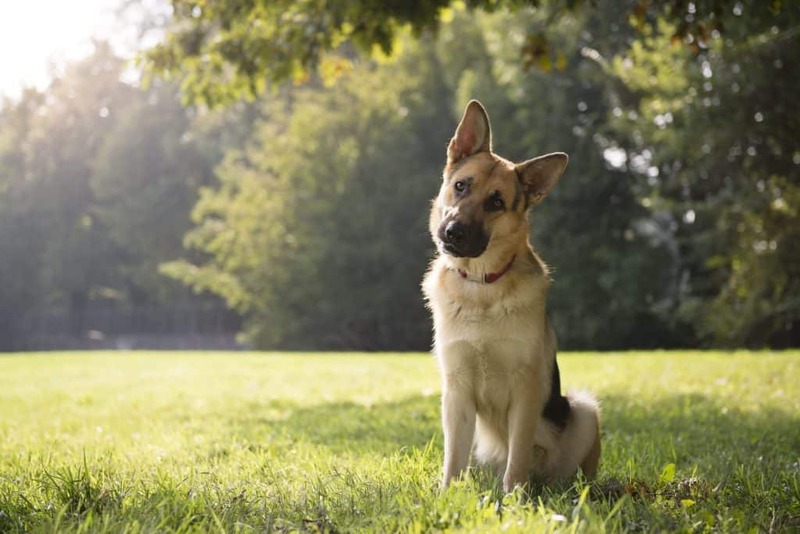 Most people buy German Shepherds through newspapers, internet searches or the American Kennel Club website, but there are many other resources available. 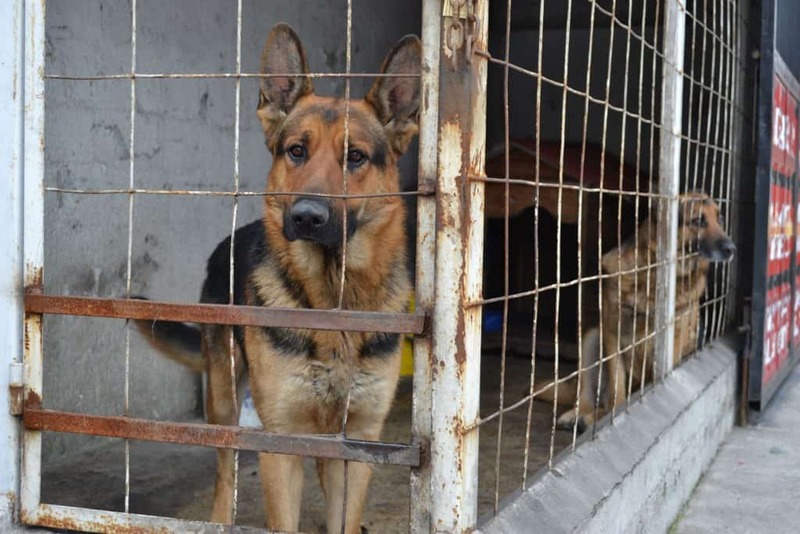 Local adoption centers or rescue facilities sometimes have German Shepherds. If you’re buying a puppy, you should check the references and credentials of breeders to make sure they are reputable. There are definitely things you need to look out for when buying a German Shepherd. Some breeders are only for-profit breeders and don’t care about the health and well-being of their dogs. German Shepherds are popular dog breeds, so there is a high demand for them. There are all sorts of breeders out there who are willing to sell you a German Shepherd. Some of them may be great, and have a good reputation and take care of their dogs. Others may only care about the dogs so long as it can make them money, and treat them very poorly, as well as not tell you about potential risks. How do you know what breeder to go to? The American Kennel Club has a good list of breeders that are known to be ethical breeders. 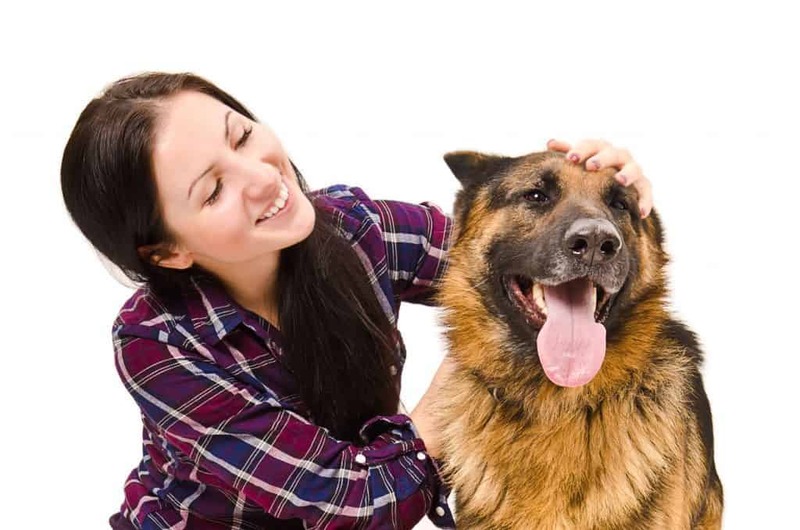 However, I will also lay out some of the differences in what you should look for so that you can be aware of these things when buying a German Shepherd. It’s important to find an ethical breeder because it means the dog will likely be healthy and will have lower risks for health problems. They will also have better temperaments as well. If you want to find an ethical breeder, you can look it up on Google and through German Shepherd sites, like the German Shepherd Dog Club of America, or through the American Kennel Club. Sometimes people will post in newspapers or on online groups, but these may also be unethical breeders, so if you look at these, make sure you see them and their dogs and find out more before making a decision. You may also ask friends with German Shepherds where they got theirs, as they may be able to refer you to a good local breeder. There are forums on the internet that may refer breeders as well. There are several things that a breeder who is ethical will be willing to do when they sell you a German Shepherd dog. They will make sure they breed healthy dogs together so the risk of problems is lessened, and so that temperament issues won’t be as likely. They follow a strict program and make sure the dogs have plenty of space,a proper diet, a clean area, and enough room to exercise and run around in. A reputable breeder will also be okay with, and may even require, you to meet with them and their dogs before making a final decision. They will be interested in you and what you want in the dog. They will also probably want to know about your lifestyle to make sure that you can properly care for a dog. Reputable breeders will also have good references and reviews that they will not be afraid of sharing. They may even ask you for references from a vet. Your vet may give them to you as a reference as well. Good breeders typically only breed one or two types of dog. These breeds are usually quite similar. In addition, they will let you meet both of the parents. If they don’t let you or are uncomfortable with having you meet the parents, that is a definite warning sign. An ethical breeder will only breed one or two litters per year, and each mother is only bred once a year and then allowed to rest until the next year. She should be bred only about four times in her life. The parents aren’t bred until they are at least two years old as well. The breeder will also be able to show you the dogs’ lineage, and walk you through their breeding program. The parents will be registered, and will have been health screened, especially for hip and elbow dysplasia, and they will have certification. The puppies will have been vaccinated and de-wormed by a vet. The dogs’ living places will be clean, and the dogs will be well-groomed and clean as well. The breeder will require a purchase contract as well, and will have a “return to breeder” clause for if you can’t take care of your dog. They will also encourage you to spay or neuter the dog, and that may be in the contract. They will be knowledgeable of the breed and should be able to answer any questions you may have. Reputable breeders also don’t sell to pet stores because they want to make sure their dogs go to a good home and will be well taken care of. German Shepherds are intelligent dogs that need exercise, stimulation, and space to move in. If they don’t get these things, they can develop behavioral problems that may be difficult to change and to handle later in life. There are many types of unethical breeders. There are puppy mill breeders that simply try to supply pet stores with dogs and make a profit off of them. Commercial breeders usually do the same thing. There are also backyard breeders that may be extremely inexperienced, or simply don’t care about their dogs and are just looking to make a profit. There are several things that can be red flags when dealing with breeders that will warn you they are not ethical. An unethical breeder will not like or even allow you to visit the dogs before buying them. They may demand payment upfront before you can check out the puppy. They may want to give you the dog in a public place and not where they breed them. This means you won’t be able to see their program and the living situation and how the dogs are treated. They won’t allow you to meet the parents of the litter, or if they do, the parents may not be well-groomed or taken care of. The living conditions may be smelly or dirty. The litter itself may be shy or frightened of humans. They may have aggressive tendencies or be lethargic. The breeder may only be breeding more looks and not for health. They might not have the dogs registered or checked out and screened by vets and health professionals. If they do claim to have registration, they may not show it to you, or it won’t be an official document. An unethical breeder could be breeding more than one type of dog, that are extremely different from each other, like a German Shepherd and a Pug. They will also breed their dogs younger than two years old, and may breed the mother more than once a year. This is bad because it endangers her health and the health of the puppies. They will also not have a waiting list, and may have puppies available all year long. They won’t require a purchase contract , and if they do, they may be willing to negotiate on certain aspects of it. 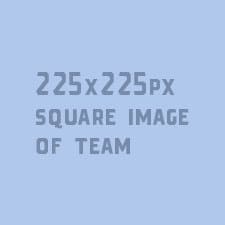 They will also not be able to tell or show you the lineage of the parents, and they won’t give any health guarantees. When asked questions about the breed or the specific dog, they may not have answers or knowledge, or they may appear to be making something up. Getting a German Shepherd from an unethical breeder is a bad idea. The dog may end up having health problems that you weren’t prepared for or aware of. It may be aggressive or have an unhealthy temperament, which can be especially bad for a family with kids. The dog may also have a shorter lifespan than dogs bred from an ethical breeder. And, you will be giving money to an unethical breeder, which will only encourage them to continue doing what they are doing. Always make sure you ask questions and find out all you can about the breeder, their program, and the dogs before you commit to making a purchase. Here is a list of questions that you may want to ask a breeder before buying a German Shepherd from them. What type of socialization have the dogs had? Can I see where the dogs live? What is the parents’ lineage? Are the parents show or working dogs? What health testing have the parents gone through? What are the puppies fed? Have the puppies been vaccinated or de-wormed? Which vaccinations were they given? Do they need any more vaccinations? Do you issue health certificates? What is your experience as a breeder? What is your breeding program like? What is in your purchase contract? Can you tell me more about the breed? Can you tell me about this dog? Many people choose breeders because they want a cute puppy. While some adoption and rescue shelters have puppies, they may also have slightly older dogs if that is your preference. Getting a rescue dog is a good thing to consider because many dogs in shelters are euthanized due to spacing and other issues, and so you’d be helping lower that a little bit. Dogs in a shelter are looked after and often trained and helped, and so they may already have good social skills and obedience training. And older dogs may be better for some families, as they may be less rambunctious than puppies. Although you can always count on them having a good amount of energy due to the natural tendencies of this breed. You may also be able to come in a couple times and volunteer, or just interact with the dog before buying it. Adoption shelters may also be cheaper than some breeders, although vet costs and other dog expenses will still need to be considered. Adopting a dog from a shelter is a loving way to give a dog a home that may not have had one before. There may be an adjustment period, however, as the dog gets used to a new environment and to new people. Let it know you’re the boss, but do it lovingly, and a German Shepherd will likely adjust just fine. How Much Does a German Shepherd Cost? German Shepherds are a very popular breed, and so they tend to cost more than some other breeds. The prices may vary depending on the breeder or shelter, the exact type of Shepherd, and their age. The cost ranges from about $500-$1500, with $800 being a typical price, although some may be cheaper, and others more expensive. If it’s a show dog, the price can go as high as $6000 or more. An adoption shelter will often be cheaper, with prices from $300-$500, but with adoption, you may not know everything about your dog’s past or medical history. As far as regular expenses go, it may cost from $650-$1500 for the puppy’s first year. This cost accounts for food, veterinary care and tests, spaying or neutering, and other items, such as collars, leashes, crates, grooming supplies, and possibly obedience training. After the first year, it can get a little cheaper because they will need fewer health check-ups unless something happens. Food costs will go up, however. German Shepherds need a diet that’s rich in protein and healthy fats, which can be expensive. An adult German Shepherd may cost about $500-$1500 a year. These numbers don’t include emergencies such as illness or injury, or other things that may pop up. A show dog will incur more costs as well, because of all their grooming, specialized diet, and training. A German Shepherd that lives for 12 to 14 years could cost a total of anywhere from $7,000 to $15,000. If you want a friendly, energetic, athletic, and intelligent dog for you or your family, however, this may be the breed for you. Are German Shepherds good family dogs? German Shepherds are excellent family dogs. They are easy to train and intelligent, and they are loyal and protective of those that they care about. They are caring dogs that have plenty of energy to play with kids. What age should I start training a German Shepherd? A German Shepherd puppy can begin to be trained from about 8 weeks of age. Start with simple commands like sit and stay, and keep the sessions short so as not to overwhelm the puppy. It’s also never too late to teach an older dog new tricks, as German Shepherds love to learn. What should I bring to take home a puppy? When taking home a new puppy, bring something for it to chew on, a blanket or towel, poop bags and cleaning supplies, and some treats. A crate may be good as well. Another person may be brought along to keep the puppy occupied so you can focus on driving.